Far less complicated than it sounds systematic desensitisation is an approved method of treating fears, phobias and anxieties. This technique produces consistently successful results, though some mental health specialists argue that confronting these issues causing anxiety may be non-productive and other methods could be used instead, producing successful results without causing trauma to the client. It is beneficial for most specific phobias and helps the person build a coping mechanism that can be used indefinitely. Developed in the 1950’s by a psychiatrist named Joseph Wolpe, it is a very widely used technique used in both children and adults. Working alongside a qualified psychotherapist, the sufferer first learns relaxation exercises and is taught how to achieve a state of deep relaxation.The person suffering from the phobia or anxiety is then exposed to their fears and conditioned to face them whilst in a state of deep relaxation. 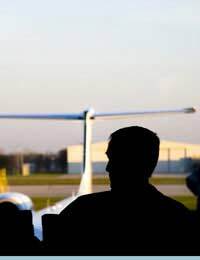 Sufferers are required to form a list of scenarios that initiate anxieties, in this case anything associated with flying that causes distress; this can range from slight anxiety, to a full blown panic attack. They are then required to put these items into an order of hierarchy graded from minor response to severe response. It is a behavioural therapy, based on a theory called ‘counter-conditioning’ which involves reducing the intensity of reactions of a conditioned response by creating an incompatible response; in this scenario, relaxation in the face of a fearful situation or image. Starting with the lowest graded, or item that causes the least response, they are gradually exposed to this scenario whilst relaxed; the periods of exposure gradually become longer and longer until they can confidently be confronted without an anxious response occurring. The therapist and sufferer work through the list until all scenarios have been addressed and fears are reduced and rationalised. Scenarios used are most often images, and can be comprised of past experiences, pictures or scenes from the news of films, or even situations that have never been experienced such as air-crashes, bombs, terrorists etc. Systematic desensitisation can be administered with the help of a therapist, though results seem to be good using self-administration also. If systematic desensitisation is to be self-administered, the person must first choose a relaxation technique that is suitable and effective for them. They must become fully competent and confident that they can achieve deep relaxation before practicing the technique. When they are constructing their list of items, they should be as descriptive of the event as possible, detailing both physical and psychological responses, and aim for between 10 and 20 items that are to be graded in severity of response.Starting with the lowest graded factor, the person should confront and imagine that situation as if it were real whilst in deep relaxation for a period of no longer than 30 minutes. During each session, no more than 3 items should be addressed, with each new session beginning with the last item of the previous session, unless full success was not reached on previous items.Whether self-administered or by a professional, systematic desensitisation should be practiced regularly until irrational anxieties have been dissipated. Systematic desensitisation is a technique based on confronting fears and should help the sufferer learn how to cope with anxieties caused by their phobia.